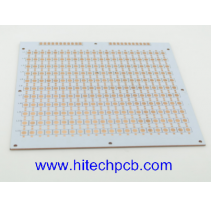 Metal core thermal PCB are widely used in applications where a dense wattage calls for a good thermal heat dissipation. The thermal efficiency gained by a metal based board allows for downsizing designs and removal of hardware. To avoid short circuits, there is an electrical insulation between the copper traces/pads and the base metal using a tailored dielectric layers with high thermal conductivity. Printed Circuit Boards have come a long way and have seen a lot of developments over the time. They are being used increasingly in a number of applications across a wide range of industries. LEDs have become very popular and are fast replacing the conventional light bulbs. The best thing about LEDs is that they deliver highly efficient output at very low power consumption. 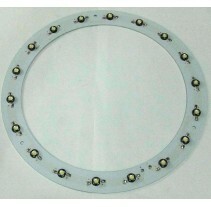 Metal core PCBs are used to make these LED solutions. The lighting industry has developed a lot and is making use of advanced PCBs for delivering maximum output. 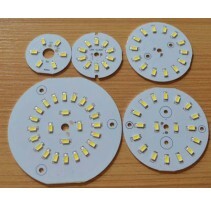 Those lighting applications, which are expected to deliver high lumen output make use of the aluminum backed PCBs. Since these PCBs are available at reasonable prices, naturally the lighting solution becomes cost-effective. There are a huge number of benefits, which make printed circuit boards perfectly suited for the LED industry. 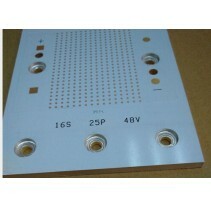 Most commonly the metal backed PCBs like aluminum backed PCBs are preferred. Thanks to metal core PCB, power densities can be increased while components remain cool, increasing life and durability. It also allows modules and parts to be driven harder. In addition, the circuits can be shaped, drilled and even formed. Circuit Layer: equivalent to ordinary PCB copper clad laminate, thickness of copper foil from loz to 10 oz. Dielectric Layer: Dielectric Layer is a kind of material with thermal insulation and low thermal resistance. Thickness from 0.003 "to 0.006" which is the core technology of the aluminum base copper clad laminate. It has achieved the UL certification. Base Layer: Base layer is metal core, normally it is aluminum base or copper base. 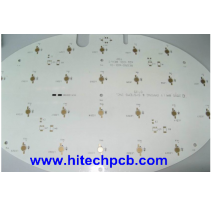 Single Metal Core PCB from China Factory – Such kind of PCB come with the thickness of 3.0mm copper with thickness of 1OZ Soler Mask and White Thermal conductivity of 3.0 w/m.k and various others.